Diane Elson has been a prominent member of the department since 2000. She has now officially retired but will be keeping her links with the department. We have sadly learned over the past few days of the death of two former members of staff who played a significant role in the life of the department. Stan Cohen was the fourth appointed Professor in the department and was chair in the mid 1970’s. 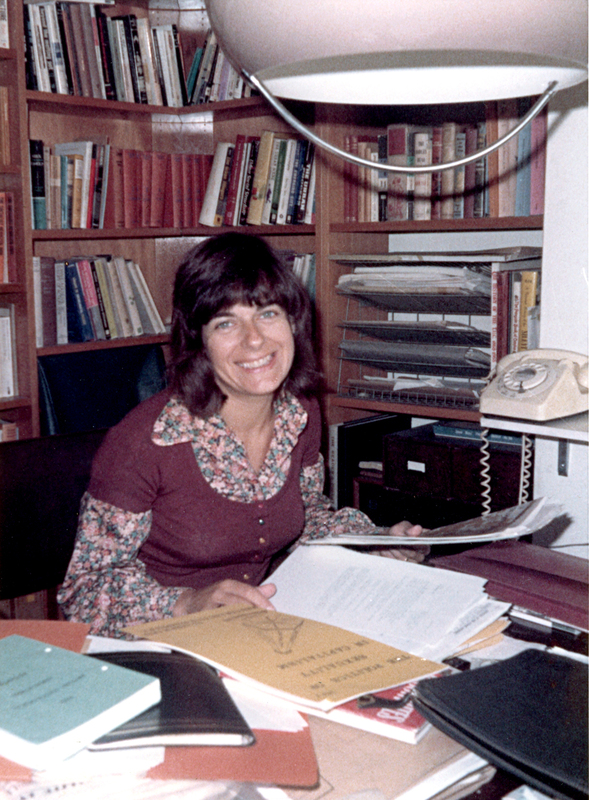 Mary McIntosh came to the department in the mid 1970’s and retired in the mid 1990’s. She was the first woman Chair of the department between 1996-1999. They have both played a major role in their fields and will be much missed. We will honour them in detail on these pages in a little while. 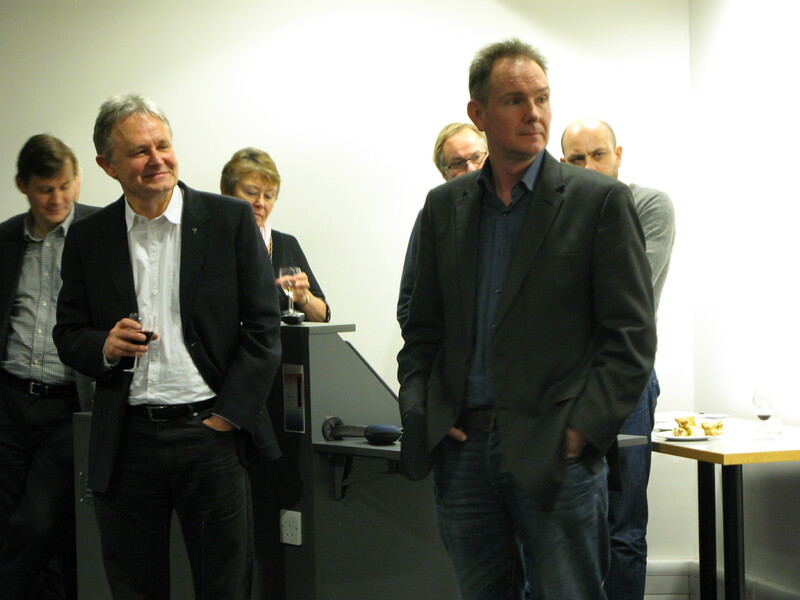 In December 2012, Rob Stones sadly left the Department for a post in Australia. He has been at the heart of the department for the last twenty years, and has been at Essex for thirty! He is going to be seriously and much missed. There were several farewell parties for Rob and below is a little goodbye speech he gave. There are other things about Rob to come: watch this space! I hope you’ll bear with me, now, through some nostalgic reflections, and a few thank yous. 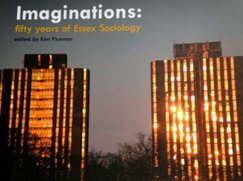 I’ve worked in the Sociology Department since 1990, but I’ve actually been at Essex University since 1983 when I arrived to study for a PhD in Government. I came here to be supervised by Bob Jessop after reading his article on Recent Theories of the Capitalist State whilst I was taking an MA in Political Sociology at Leeds University – where, as fate would have it, my daughter, Klong, has just finished a degree in Politics and Sociology. There’s something nice about that circle. When Ja and I first arrived in Colchester in the late September of 83 – parking the car in the town centre on a grey, overcast East Anglian afternoon, it had been 5 years since we’d first met as undergraduates at the University of Bristol. In the interim we’d had the pleasure of spending a good deal of time in Bangkok, and more immediately we’d just enjoyed a hazy summer in a seafront flat in Brighton whilst Ja wrote her dissertation for an MA in International Relations at Sussex. Before we’d even got out of the car on that gloomy day, we’d agreed that I’d do my PhD in 3 years and then we’d be gone. Those 3 years have clearly gone on much longer than we’d anticipated, and we’re both glad that they have. After finishing the PhD – I make it sound easier than it was – I was employed for two years as a temporary lecturer in the Government Department (I remember teaching the same first year class 6 times a week) and then I joined the Sociology Department (in 1990), first on a one year contract, for which I’ll always be grateful to Mary McIntosh, and then on a permanent basis. I’ve been with Sociology ever since – apart, that is, from a period away in the mid 90s when, very generously, the Department, and in particular Ken Plummer as Head of Department, allowed me to take unpaid leave so that I could go back to Thailand with Ja and our two young children, Klong and Pim, as Ja took up a three year post as the country director for Save the Children, Norway. Leaving aside this brief period of escape, I’ve been part of Essex University for just short of 30 years. So, however long I stay in Sydney, or whatever else I may do after that, I will have spent the lion’s share of my working life here – nothing can now change this. There was something about the intellectual environment at Essex, particularly in the 80s and 90s, that made moving on unthinkable. As a graduate student and then a young academic it was both exciting and challenging to be in such close proximity to developments that were to put their stamp on the age, intellectually, culturally, and in political debate. I’m not going to say anything more about what these were, as I’d find it hard to stop….. Intellectual life in the social sciences and humanities at that time was very individualistic in many ways, but this was allied both to a vital degree of intellectual freedom, and to that so, so, important level of social involvement with each other, that there is now less and less time for. There was also a clear received wisdom, then, about the importance of developing a lifetime intellectual project of one’s own, and about having some time to do this. This is something that I continue to see as the surest way towards truly valuable work, and which has left an indelible mark on how I approach my own writing, research and teaching. I’ve had a brilliant continuing education here. I’ve been lucky enough to have been able to learn from the teachings and the example of some of the very, very best, and to have had a job in which I’ve looked forward, every day, to coming to work……….. Well, almost every day! There’s Ken and Ev taking my family to see a musical in London virtually every Christmas for the last fifteen or so years – including one famous time when we met Ted on the train on the way home, when he’d just been to the Red-Green Study Group and we’d been to see Mary Poppins! 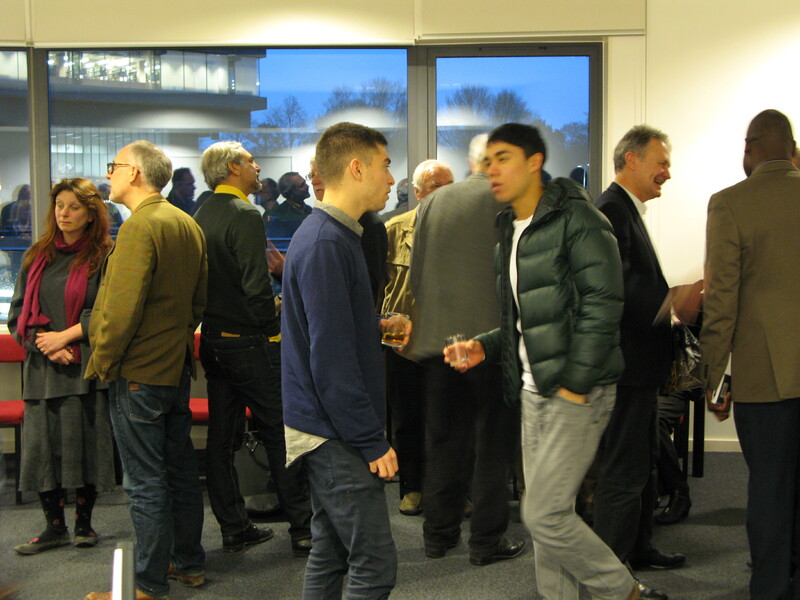 Then, finally, there’s Joan’s pre-xmas drinks, to which, I’ve noticed, people can still be invited once they’ve retired or otherwise left the university. There are so many people I can see here today that I’d like to say thank you to personally, but I won’t do that now. I hope you know who you are and that it will be enough if I say collectively to you that it’s been a privilege working with you over the years, and that I’m honoured to count you amongst my good friends. I will, though, mention a few of the groups who’ve been an essential part of making life good. 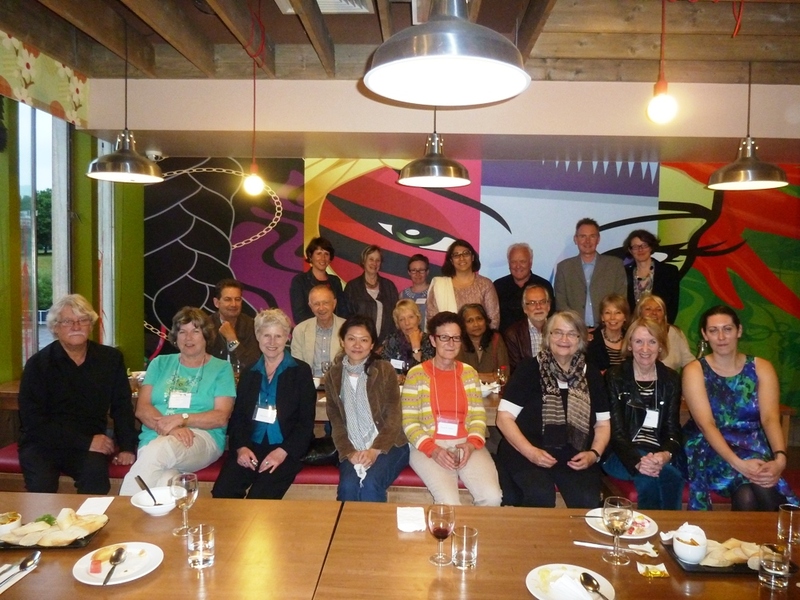 My close academic friends from Sociology – what can I say? – and those from elsewhere in the university – friends often first made unexpectedly, by happenstance, in coffee breaks during meetings or in extra-curricular spaces such as picking up time at the nursery, parents’ evenings, school fetes, or whilst clutching party bags at one of the many, many birthday celebrations of the primary school years.